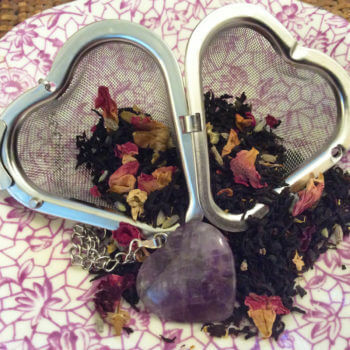 Looking for a functional, but enchanting, tea infuser? 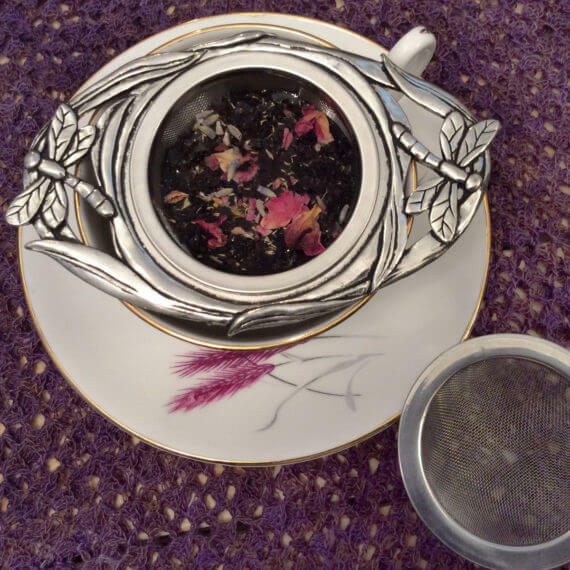 Look no further than our lucky dragonfly pewter “tea nest” infuser/strainer. The ‘nest’ is a beautiful, handcrafted design that sits comfortable on tea pots or individual tea cups, and comes with both a deeper stainless steel mesh tea infuser basket as well as a stainless steel mesh strainer, both removable for easy cleaning. 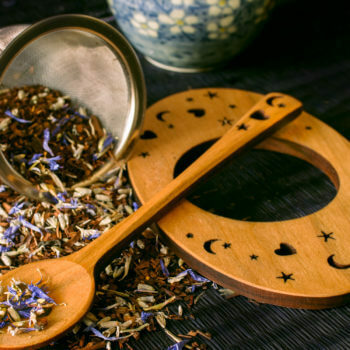 We love this infuser for tea in the reading nook or out in the garden – or anywhere that you want a little more lucky magic during your tea time! Function and Style DO go together! 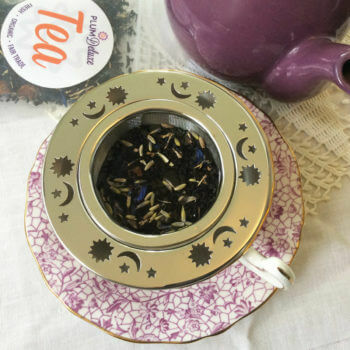 Not only is this the prettiest little infuser, but I use it every day for an afternoon cup of tea. I highly recommend this so if you're a friend of mine, expect to get one in your stocking this year! Made with 100% Lead-Free Pewter. Completely food safe. - Handwash only. While technically dishwasher safe, detergents are now so harsh we recommend handwashing to keep your cherished nest in good condition. - Can be used in boiling water (for example to stir in honey in a hot beverage). However, it is possible to bend the nest so do not try to bend it with excessive force.